Mail4Rosey: Oriental Trading is Having an Instagram Contest! Just sharing a message from Oriental Trading! Now through July 8th, show them your awesome party décor on Instagram for a chance to win! Weekly winners receive a $100 Oriental Trading gift card. There will also be one grand prize winner for a $500 Oriental Trading gift card! 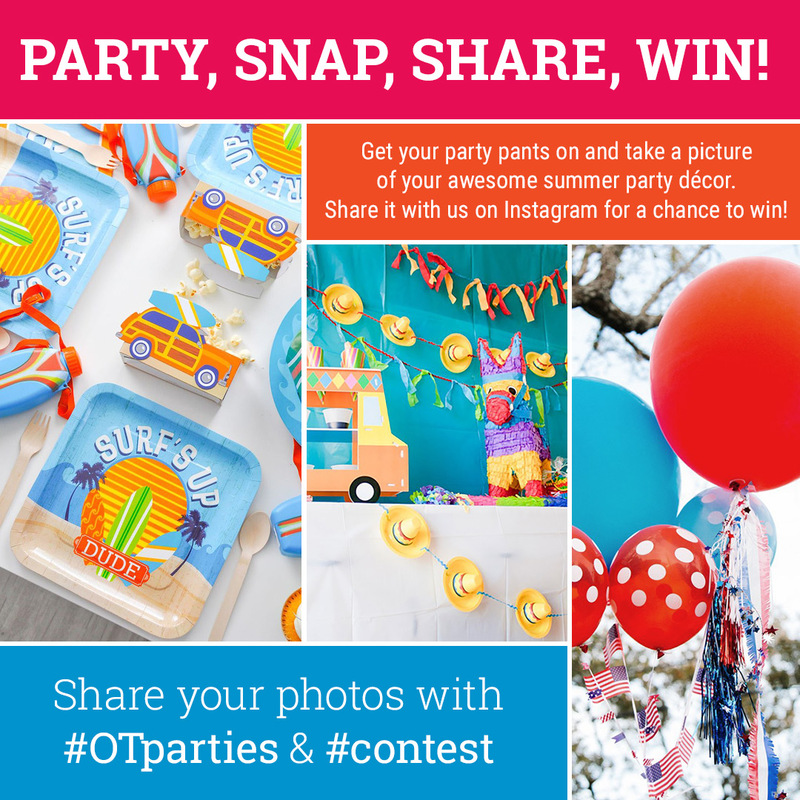 Be sure to tag your entry #OTparties and #contest. I'm not on Instrgram. I've joined too much already. Sounds like a fun contest! We love Oriental Trading party supplies and would love $100 to spend there! Thanks for the info. Will try to enter. Loving this giveaway. What a great way to showcase your party design skills. I ordered items from OTC for my stepdaughter's daddy/daughter dance and they were wonderful! I'm going to definitely check this out. Sounds like a great contest! I'll have to check this out. I love that they have so many wonderful party supplies too. Great contest! Checking their Instagram page now. I love Oriental Trading. We've been getting their catalogues for a long time & they have great prices on really unique items.